Home Blog Software Windows 10 Pro for Workstations – NT Resurrected? Windows 10 Pro for Workstations – NT Resurrected? The last time we heard the phrase “Windows for Workstations” was back in the 90s when Windows NT Workstation 4.0 was launched in 1996. In fact, if you asked some of the younger people in your office what Windows NT was, they will probably look at you blankly or think it’s the name of a new version of the windows operating system, and actually they wouldn’t be wrong! 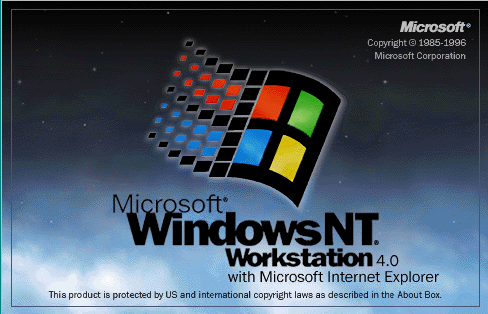 Windows NT Workstation was released as a more robust version of Windows ’95 for businesses who use high-end hardware. The workstations label disappeared as Microsoft names it’s operating systems Home, Server, Pro, and Enterprise etc. Then, in June this year, more than 20 years on, Microsoft announced it was resurrecting Windows for Workstations with Windows 10 Pro for Workstations scheduled for launch any time now. This version is once again targeting high-end power business users because Microsoft says it believes that there is a large section of the Windows 10 users community who wanted a version of their operating system which can handle high performing hardware. The new version of Windows for Workstations is able to run up to 4 Xeon or Opteron CPUs, rather than the less powerful versions in desktop computers, and handle 6TB of RAM. The Windows 10 Pro for Workstations OS also runs the Resilient File System from Windows Server 2012, instead of the NTFS used in other versions of Windows 10. Data will also be speeded up with faster file sharing with SMB Direct and persistent memory is another option with NVDIMM-N.
It’s obvious that Microsoft want to tap into the million workstations bought each year around the world, and they’re aware that Windows 10 isn’t the best choice for many of them. This new version of the operating system will offer an alternative that will work for everyone. Microsoft haven’t yet said how much Windows 10 Pro for Workstations will cost (we’re guessing it will be in the region of around £150.00) however, HP are offering this operating system on some of it’s Z series workstations which you can find available to lease on the HardSoft website.